Peppers and tomatoes - is a real storehouse of vitamins. But for the efficient production of seedlings of vegetables, you need to know what are the growth stimulants should be used. Growth stimulants are used primarily for seeds tomatoes and peppers with the aim of increasing the period of their germination. For example, often practiced by the growers soak the seeds for two hours in the stimulator EPIN-extra". For this 0.5 ml of "gap" is diluted in two liters of water. Positive effects are evident even in the fact that it increases the germination of seeds with a long shelf life (5-7 years). In addition to the "Alpin" is used for soaking the "IAA", "Zircon", "Kornevin". They all have similar properties. In addition to activation of the seeds, growth stimulators, prevent the escalation of the seedlings, increase the duration of flowering. Some drugs have a wide range of actions, while others focused on the development of the root system and the restoration of soil fertility ("Kornevin"). The great advantage of all growth promoters is that they contain biologically active substances of natural origin (e.g., sodium HUMATE). What growth factors promote the survival of seedlings? Spraying tomato seedlings "Appin" is in the budding phase. Dilution of the drug with water: 1 ml per 5 liters of water. Use the solution 3-4 litres per 100 square metres. In the same way the treated seedlings when transplanting into the ground. 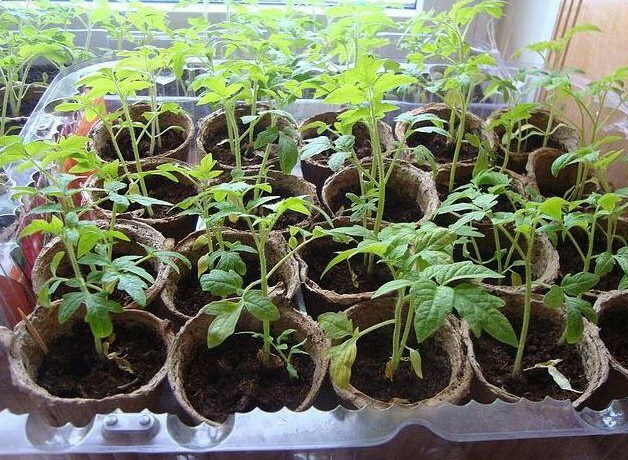 It is proved that the survival rate of tomato seedlings are doing much better than similar untreated plants. Another side benefit from spraying with the preparation "EPIN-extra"? A solution of a growth stimulant reduces the accumulation of radionuclides, nitrates, salts of heavy metals. Also "EPIN-extra" accelerates the formation of the ovaries and prevents them from falling. Thanks to the drug the seedlings are not pulled. Spraying is conducted in the morning in calm weather. After completing all the procedures of the hands and face be sure to wash with soap and water. Well-developed and healthy root system is the key to future harvest. Therefore, for intensive development of the root system of pepper and tomato using a stimulator of growth "Rediform". Rate of dilution: 200-250 grams per 100 liter water. The stimulator should be incorporated into the soil at intervals of 10-12 days. "Zircon" is also the most common growth factor, which gardeners use for planting peppers and tomatoes. Spraying is carried out after transplanting in the ground, and also during budding. The rate of dilution of the stimulant water the same as for tomatoes and peppers: 0.1 ml in one liter of water. Gardeners proven that stimulants help plants better tolerate various stress conditions: adverse weather, drought, invasion of pests, temperature extremes and so on. Growth factors are easily compatible with many fungicides and insecticides. Therefore, you should not worry about the fact that you need to process planted seedlings with multiple drugs.